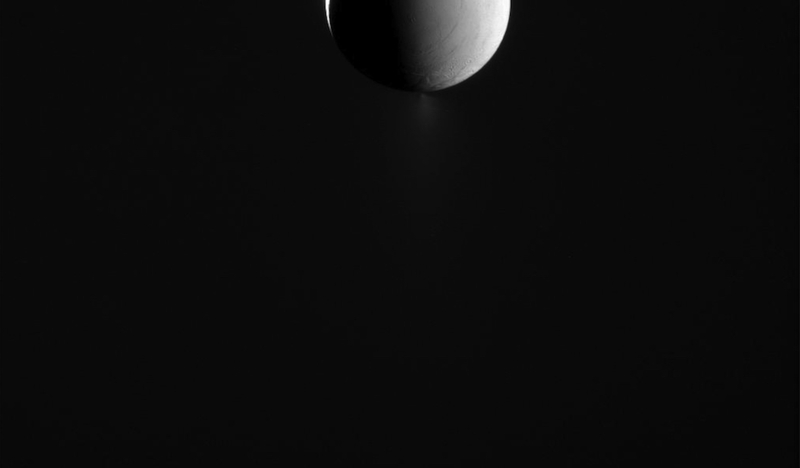 Saturn's moon Enceladus is covered in ice. We already knew that. But what you see above is evidence of just how icy it actually is. The right side of the celestial body isn't illuminated by the sun. Nope, that's actually brightened by the light reflecting off of the adjacent ringed planet according to NASA. If you're looking for something a bit more solar in nature, take a peek at the bright wedge on the moon's left side. The aerospace outfit says that these types of pictures from Cassini are "designed to capture the extended plume of icy material" coming off the moon's south pole.